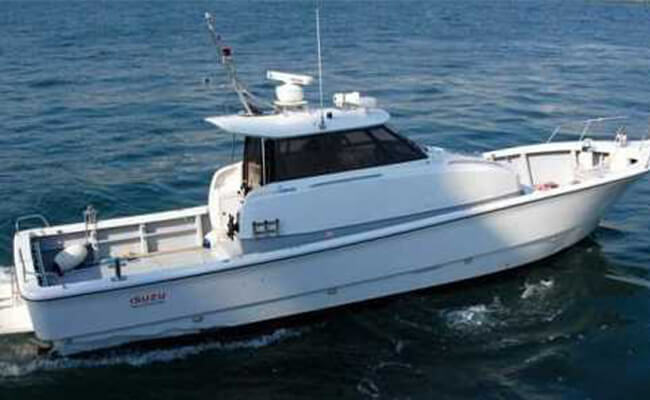 PANGACRAFT Models from 20 feet to 42 feet Introducting the Monster Panga 32' x 8'9"
The Panga design has a delta pad that protrudes about an inch from the center of the hull. 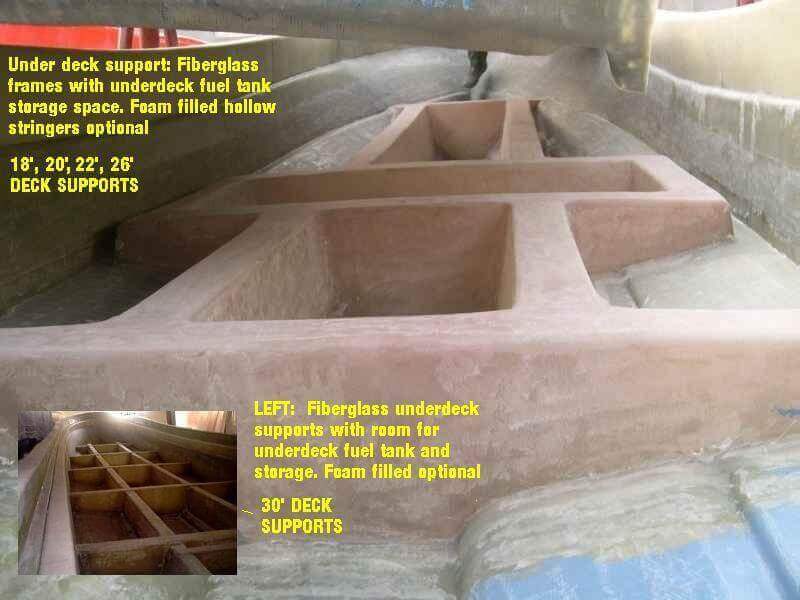 This feature is what gives the boat fuel efficiency and performance with less hp, easy planing, as well as makes the boat ride on top of the chop instead of plowing through like a V hull. 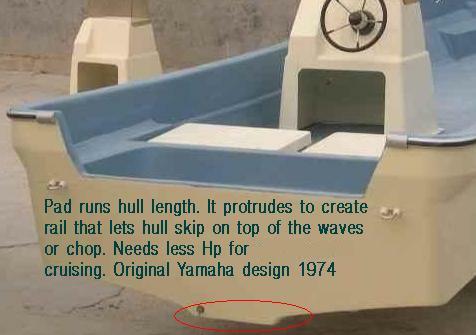 History of the panga design and name: Back around 1970 Yamaha launched a new line of outboards combined with their design to make an affordable fishing boat for all fisherman. 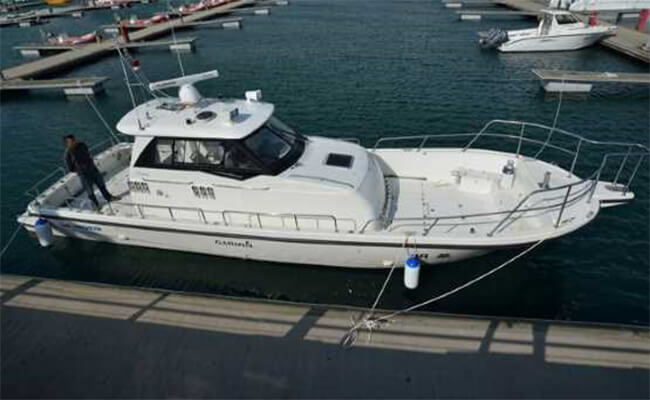 The boats were bought mostly by fisherman who caught mainly Panga Fish. That is how the boat got its name from the panga fishermen that use this boat. 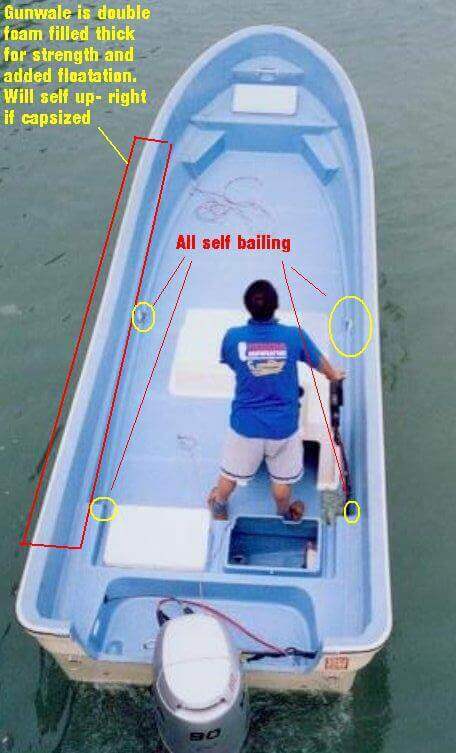 About the high bow; Panga fish are caught by gil nets thrown out and pulled in. 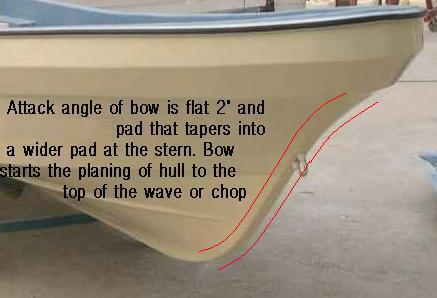 The bow is high due to the need to pull in nets into the boat from the bow. When pulling a heavy net in the bow needs to be high out of the water. This feature and others also make it the best choice for all around fishing in all weather. You will find this design has been around for decades from Asia to South America. 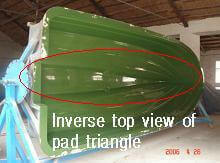 All haver the same features designed for fisherman to use nets in shallow water. 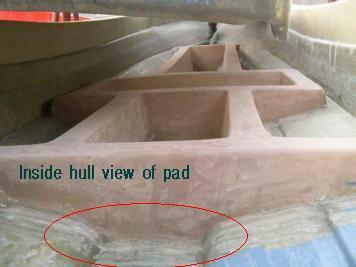 The front to the hull does not come to a point like other boats. It is flat about two inches that tapers out to about to a delta pad 18 inches at the rear. This is so the fishermen can easily pull the boats up onto the beach. 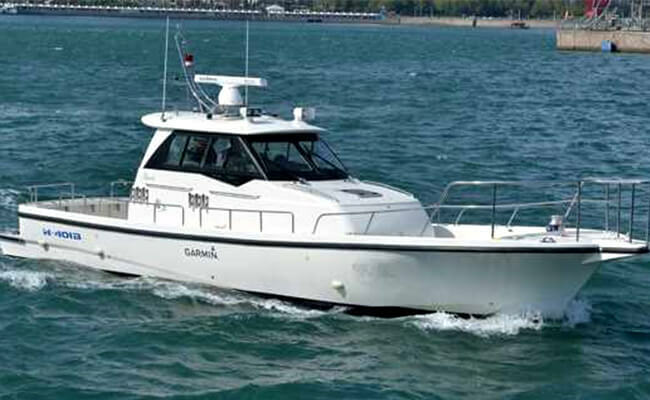 This is another feature that also makes the boat use less hp and cruise on top of the waves f=giving a smooth ride. These pics show the pad design that makes a true panga design ride on top of the waves or chop to give a smooth ride as well as use less Hp to plane and cruise.